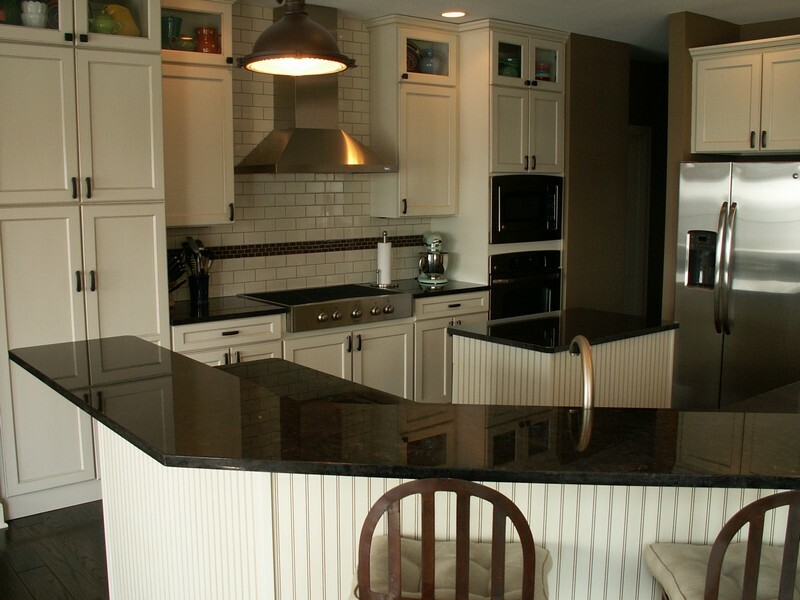 Antique Brown is a dark brown colored granite quarried in Angola. It is formed of unevenly shaped dark brown crystals often with metallic mica reflections. There are some very thin veins in the stone that sometimes look like cracks. They are not cracks at all though, it's just the coloring of the stone. Overall this granite looks pretty uniform. A lot of people choose this granite when they like marble but don't want to use it in their kitchen. Antique Brown is also called Marron Cohiba, Brown Antique, Marron Antique, Marron Antico and Auckland Brown. I especially love Antique Brown with a Honed finish. A Leather or Satin finish is also really beautiful on this stone. The photo below shows the Honed (matte) finish. Also, notice the veins that I was talking about? Antique Brown is available in 2 cm and 3 cm slabs. I love this granite and have it on the island in our kitchen. You are SO right about the veins. When it was initially installed, I was so upset & thought it had a huge crack in it. We come to love the granite and have gotten used to the veins. Love your blog! We loved antique brown but the only slabs we found available had a white vein all the way through the middle. We found kodiak brown in honed that looks like antique brown in color/tone but with smaller particulates vs the larger ones in antique brown. Do you have any pictures of kodiak brown done in kitchens? Thanks for the comment. It's good to hear feedback about what you all have in your own homes. Unfortunately I don't have any pictures of Kodiak Brown. I'm sure you could Google Image it though. Good luck!